Ivory, a hard cream colored material extracted from elephant tusks, has been used throughout history. Ivory has continued to be compared to other precious materials and remains a superior one for decorative and adornment purposes. 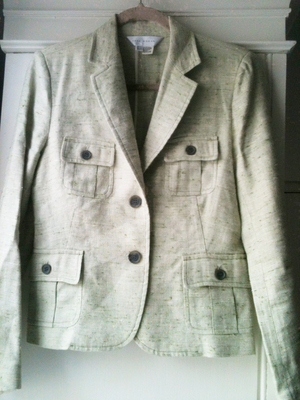 Accessories made from ivory gives a very classy and chic vibe and are a must have for any fashion enthusiast. 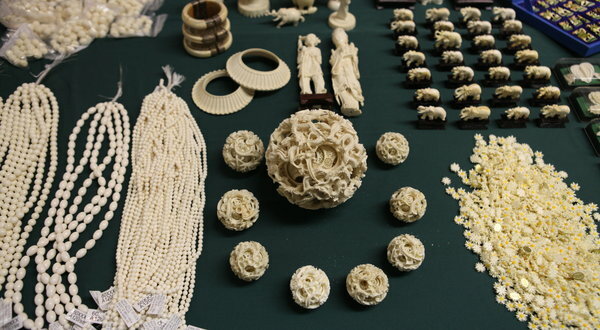 For thousands of years, ivory has been admired for both practical and aesthetic reasons. Harder and more durable than wood or bone, ivory doesn’t chip, crack or break easily with use, and deteriorates very little over time. This trait made it an ideal material for early man, who used it to craft tools and weaponry, especially before the discovery of metalworking. Ivory has traveled along various trade routes in caravans with other precious materials like spices and silk throughout history. This ended up making it more expensive (and thus more luxurious) with every mile. The more exotic or exclusive something is, the more desirable it becomes and ivory was a component of the gifts given or received by royalty for a long time. Ivory was used to make piano keys till it was banned and plastics were used instead. The Japanese used ivory to make ‘Hankos’ a personal seal or stamp as early as 5500 B.C. The hankos were made of ivory, wood or even plastic. They generally had the owner’s signature or seal at the bottom which could be dipped in ink and imprinted on documents. The incisors of hippopotamus, which are straighter, were well suited for their use as kohl tubes and as mirror handles. Other items made of ivory include combs, bracelets, knife handles and writing tablets. Besides being made into highly valued works of art, ivory had been made into beautifully carved boxes to hold other valued articles too. Detailed carvings on handles of daggers were considered show pieces as were images of catholic icons and saints. In India states like Rajasthan, Odisha and West Bengal are known for their exquisite ivory jewelry. 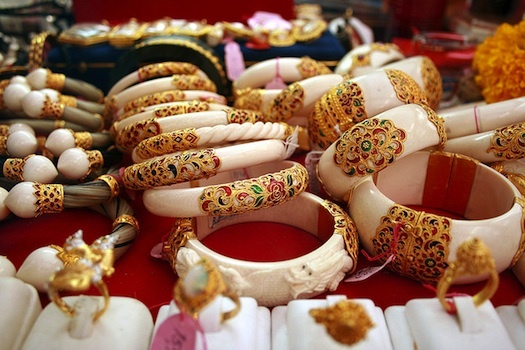 A tradition of gifting ivory bangles to brides as they leave for their married homes is a prevalent practice. Elephant ivory has shades ranging from pale white to soft yellow and brown. Articles made from ivory include pendants, bead necklaces, bangles, rings, anklets, statues, figurines, decorative plaques and much more. Ivory carvers in places like Jaipur, West Bengal, Karnataka, Kerala, Punjab and Delhi are known for their engraved reproductions of caskets, dancing figures, book covers, sandals, bullock carts, palanquins and processional elephants or ‘ambari haathi’. Other objects in ivory are chess sets, billiard balls, boxes for storing ‘paan’ or betel leaves, paper cutters and perfume bottles. Models of religious places such as miniature shrines with delicate pillars and intricate floral work in relief with images of deities depicting scenes from religious legends are examples of the superb work in ivory. Ivory anklets are embellished with beads, precious and semi-precious stones and gold. They have animal and floral designs and inlay work too. Ivory jewelry from Rajasthan (Jodhpur and Jaipur) is worn to cover the entire arm. Ivory is also used for inlay decoration for doors, windows and ceiling; Bikaner is famous for its ivory inlaid doors. The superb carved elephant in Delhi is an excellent example of the intricacy and delicacy of the ivory-carving tradition of northern India. Ivory is a dense substance covered with an outer layer of rough bark which has to be removed first. The object to be carved is first sketched on the piece of ivory and a variety of chisels are used to carve the smallest of details. The tusk is dipped in milk to soften it for easy carving. Delicate carving is done using variety of files. The surface is first smoothed out by sandpaper and then dipped in methyl spirit with a brush if it is white or if yellow. Then it is put in water and mixed with hydrogen peroxide which whitens it. Carving involves systematic scraping and chiseling of the materials from the core block. A species of hard nut is gaining popularity as a replacement for ivory, although its size limits its usability. It is sometimes called vegetable ivory or tagua, and is the seed endosperm of the ivory nut palm commonly found in coastal rainforests of Ecuador, Peru and Colombia. Besides elephants, tusks from walrus, elk, narwhale and hippopotamus are used. Among the most intricate and painstaking crafts of India is ivory-carving. Presently banned in the effort to preserve elephant populations, various centers in Delhi, Punjab and Rajasthan, Kerala, Karnataka and West Bengal previously specialized in particular types of articles. Each region’s output expressing regional characteristics and artistic influences. Inlaid jewelry boxes, figurines of gods and of animals, cuff-links, napkin rings, lamp-stands with floral and animal motifs, varieties of earrings, brooches, bangles, bookmarks and cocktail pins, are a few examples. All of these are objects of utility and artistic beauty produced by the ivory craftsmen of India. Saharanpur in Uttar Pradesh is known for its screens or room dividers in wood with intricate ivory inlay work. Gujrat produces lathe- worked lacquered furniture. Marquetry craft on bed posts, cradles, toys are done with ebony, sandalwood, metal and ivory. This craft is called ‘Sadeli’. 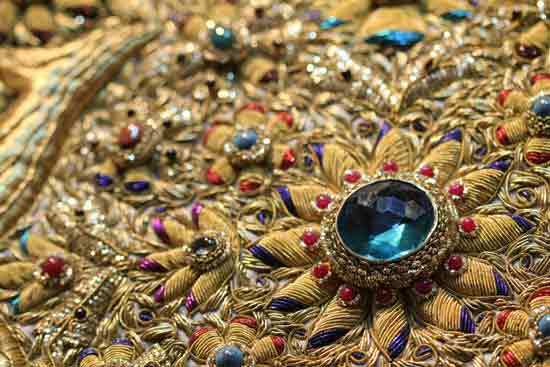 In North India the ivory craft developed during the Mughal period and today Delhi is well known for objects such as pen cases, caskets, fine lattice work boxes and costume jewelry. 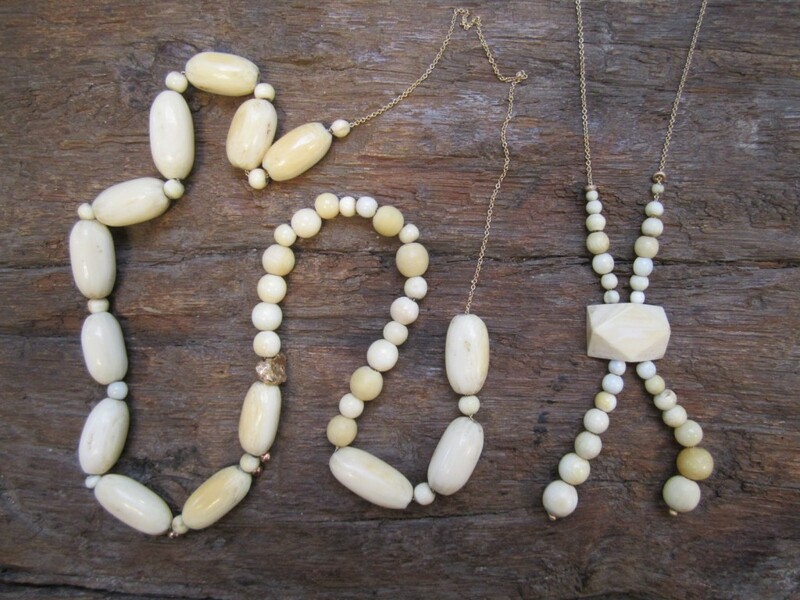 Jewelry made with ivory has varieties with engraved pendants and ivory beads. Ivory discs in varying sizes strung together on golden or silver cords are very attractive and complement Western as well as ethnic Indian wear. Ivory brooches, rings, earrings are made in contemporary designs as well as traditional ones. Demand for piercings is immense and ivory is a material that has been transformed with messages and symbols that appeal to the youth. Tribal designs have been incorporated in ivory and they have an evergreen charm. The jewelry sported by celebrities and movie personalities are replicated in ivory as charm bracelets, rings, pendants, hair accessories and more. A lot of brides- to- be are adopting a simpler look instead of the heavy bling one by wearing some jewelry made out of ivory. This trend is catching up and ivory bangles with gold Meenakari work on them are not only exquisite to look at but stand apart among the others. Ivory is also used in a combination with gold and precious & semi-precious stones to achieve that special piece. Designer artificial jewelry has become extremely popular and uses materials such as ivory, bone, feathers, wood and more in trendy settings and styles to replicate traditional patterns of jewelry. 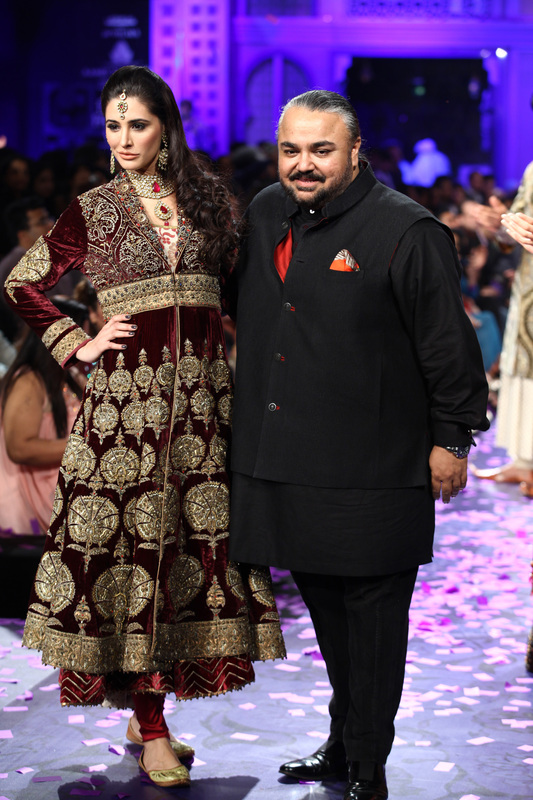 Ivory bead work on Lehengas, dupattas and similar ethnic attire has been used by well known designers to show case their work at fashion shows recently. 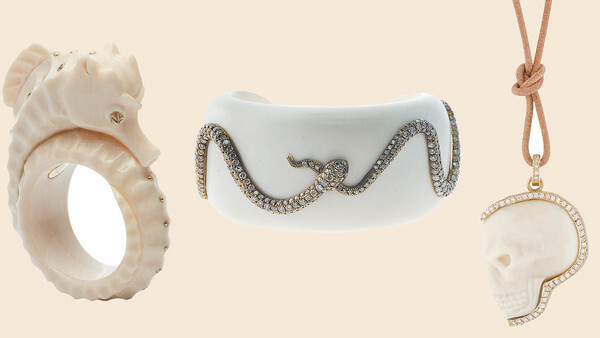 Ivory jewelry has a unique and unusual look and can be worn for parties, weddings and receptions, and soirees or even for holiday getaways. Ivory jewel pieces are an ideal choice for beachwear. Ivory jewelry is very elegant and is a perfect foil for traditional attire such as saree or simpler churidar kurtas in silk. 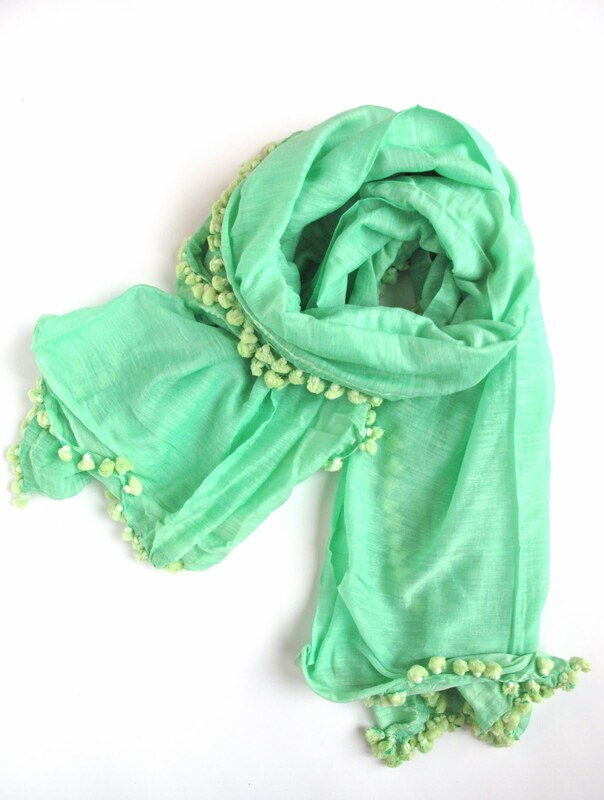 It can be worn with Indowestern wear as well. Be it bracelets, ear pieces, necklaces or pendants, there’s a whole wide variety out there to choose from. Ivory jewelry is natural and suits all skin types unless it is combined with alloys or metal that cause allergies in some. Ivory, being porous, absorbs dirt and dust from the air, hence it is best to store it in a box or plastic bag away from direct sunlight. Mineral oil can be used with a soft brush to treat hairlines that ivory develops. After the oil is applied it is absorbed by the ivory, if dry. In case the ivory is in good condition, the excess oil can be rubbed off with a dry brush and gently wiped with a soft cloth. Mineral oil gives ivory a warm glow. Colored oil such as olive oil should not be used, so as to avoid discoloring the ivory piece.